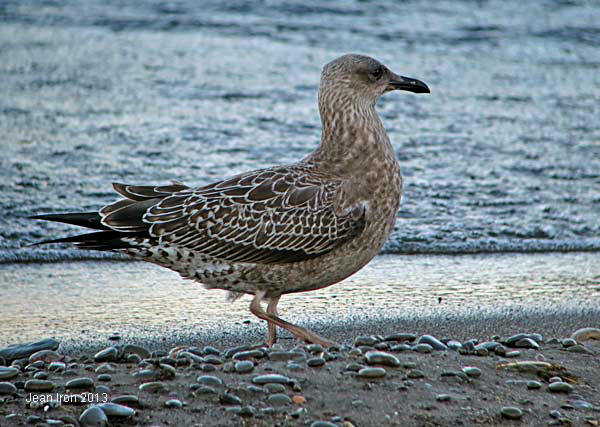 Juvenile Lesser Black-backed Gull at Van Wagners Beach in Hamilton, Ontario, on 12 October 2013. 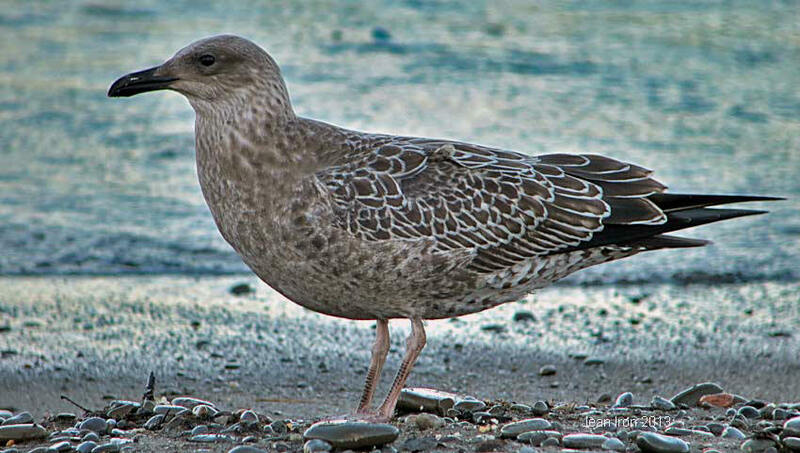 It is now believed that the Lesser Black-backed Gulls occurring in North America originate from colonies in southern Greenland. 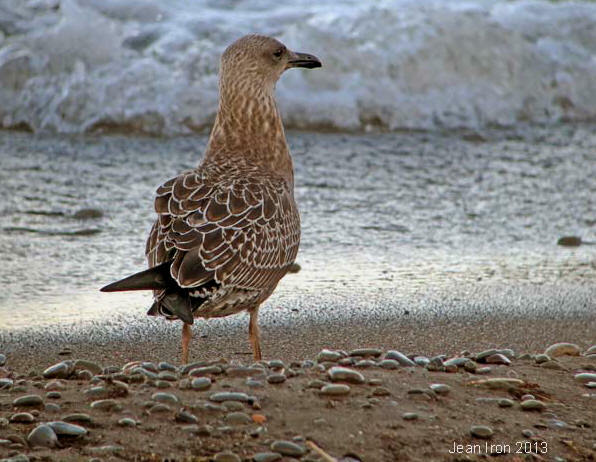 Like other gulls that breed at northern latitudes, it will retain its juvenal plumage longer into the winter. 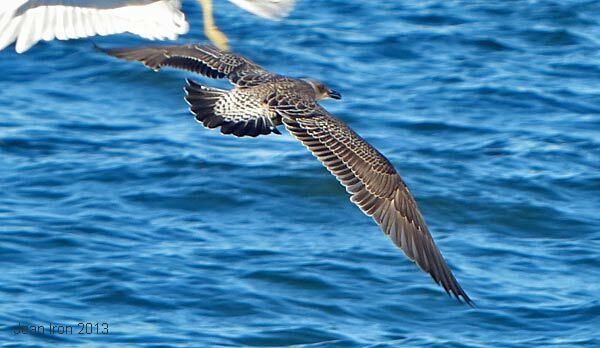 When in southern Greenland on 5 September 2013, I saw a fledged juvenile Lesser Black-backed Gull still with down on its head. Pale rump with dark markings contrasts with darker back and blackish tail. Hamilton on 12 October 2013.